When it comes to cases for the iPhone 7 and iPhone 7 Plus, there are basically five main approaches. Some people just want the cheapest case they can find, and others want a case with a nice design. Rugged cases offer the best protection, but they also add a tremendous amount of bulk. Then there are ultra-thin cases and slim clear cases, which protect your phone from scuffs and scratches without ruining the iPhone’s sleek design. Finally, there are premium cases made out of high-end materials like leather and aluminum. These cases might not preserve the iPhone 7’s design exactly, but they often introduce a stylish new design that can be just as good (or even better, depending on who you ask). We’ve spent months trying out dozens and dozens of different iPhone 7 and iPhone 7 Plus cases. In this post, we’ll show you the best leather cases we’ve come across so far. 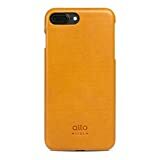 Regular readers will immediately recognize the name Mujjo, because we’ve featured the brand’s cases a number of times here on the site. Good news: The quality of its iPhone 7 line is just as good as it has been on the company’s earlier cases. Below, you’ll find links to our four favorites — two iPhone 7 cases and two for the iPhone 7 Plus. 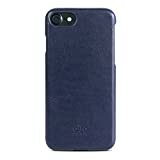 £54.95 (about $68) is a tall order for a smartphone case, but anyone who knows high-quality leather knows that’s not a bad price at all. Nodus uses wonderful leather with a gorgeous grain, and the craftsmanship is as good as we’ve seen – especially on the front edges, where the leather on lesser-quality cases tends to bunch. The Shell Case for the iPhone 7 and iPhone 7 Plus also packs a hidden magnet that lets you mount it anywhere you want. 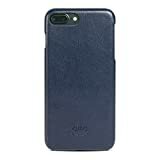 Burkley is another company that only uses high-quality leather, and it offers a wide range of cases for the new iPhone 7 and iPhone 7 Plus. Our personal favorite is the Burkley Snap-on Case in turquoise, which is pictured above, and it costs either $54.40 or $58.40 depending on the model. There are also plenty of other colors and models available on the Burkley website and on Amazon. Sena is another company we’ve featured a number of times here before, and the company offers several slick cases for the iPhone 7 and iPhone 7 Plus. The Snap On Wallet is a favorite of ours thanks to the supple leather, but we’re also fans of the Ultra Slim Snap-On model. Last but certainly not least, we have the Handmade Premium Italian Leather Case by Alto. Alto has a long history of making gorgeous leather cases for Apple’s iPhones, and it’s new line for the iPhone 7 and iPhone 7 Plus are its best yet. 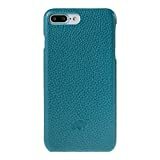 These cases are available in a number of unique colors (and standard colors as well), and prices start at $62.90.